Jerry will write a new story that will include the latest numbers we have from Mae Tao Clinic and a short list of possible opportunities to help them. For now this is just filler..
On 28 February 2015 there was a devastating fire which destroyed the boy's dormitory at Mae Tao Clinic's Child Development Center. The children lost everything, including critical documentation, clothing and what little money they may have had. 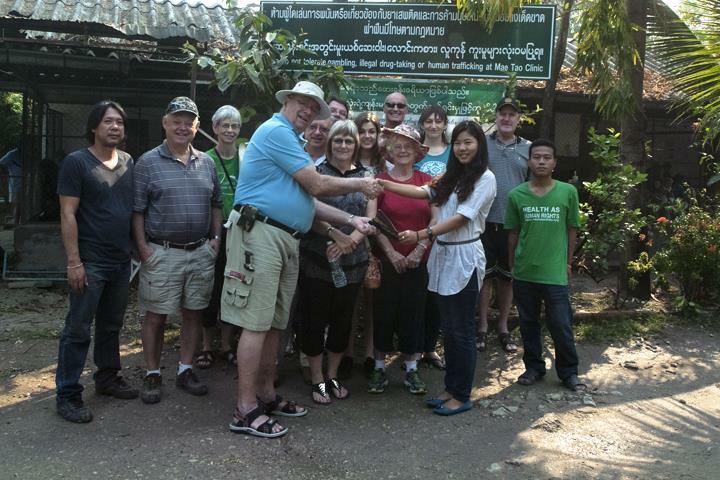 Rotarians marshaled their resources and teamed with members of the Chiang Mai Expats club. A very short fund raising campaign yielded 134, 300 baht, all from private resources (no funds from either club were used). Replacement of the boarding houses with brick and mortar will cost in the neighborhood of 620,000 ( $20,000 USD) What we have accomplished is a very good start. A new crowd funding campaign has begun. Those who may want to contribute are invited to visit Help Mae Tao Clinic Replace Boy's Dorm Lost in Fire! Other organizations, including Greater Good, Thai Children's Trust and Crowd Funding by Agoa Architects are also raising money to support this effort.